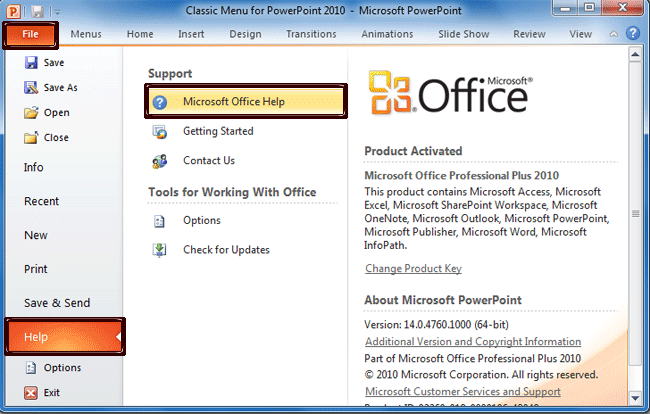 Click the Microsoft PowerPoint Help item. It is very easy to open Help window in Microsoft PowerPoint 2007, 2010, 2013, 2016, 2019 and 365. Just click the help button in the upper right of Ribbon is ok.
Apart from the Help button in the upper right Ribbon, you can also get Help information from the backstage view in PowerPoint 2010. Click the Help button under File tab, you will get help information.